To the 43 million Americans who have low bone density, putting them at high risk of osteoporosis, Certified Athletic Trainers have an important message: exercise is good medicine. But not just any exercise – weight-bearing, muscle-strengthening exercise. 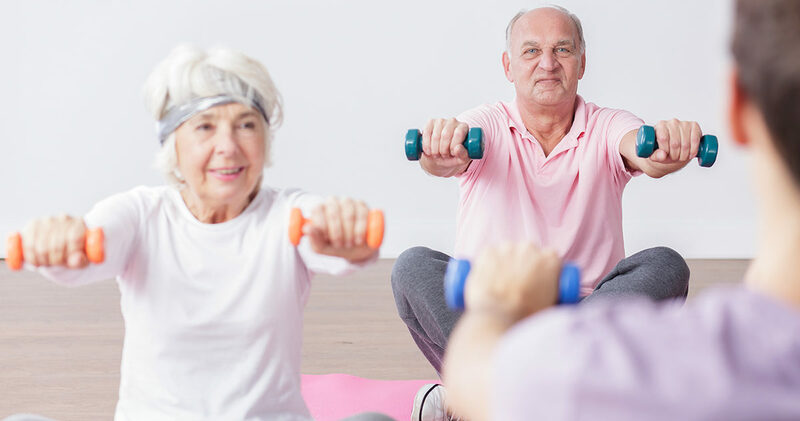 An exercise regimen that includes elements of strength and resistance training can help slow some of the effects of aging – this, while also allowing one to maintain a high quality of life through activity and independence. “The work of scientists, health professionals, and older adult volunteers has greatly increased our knowledge about the aging process and how we can maintain strength, dignity, and independence as we age,” Satcher said. Improving Cholesterol Levels: Strength training can actually help improve the level of HDL (“good”) cholesterol in the body by up to 21 percent, while also helping to reduce to levels of LDL (“bad”) cholesterol. It’s also necessary to set aside another two to three days of strength and resistance training each week, which can include free weights, weight machines, Pilates, yoga, and so on. Corina, Please call 480-935-3132 to schedule your FREE 20-Minute Discovery Visit, so we can see how we can help you!